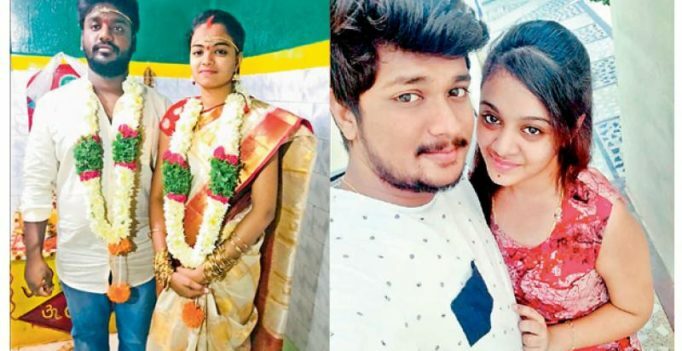 The cold-blooded honour-killing of 21-year-old P. Pranay Kumar with an axe, in front of his five-month pregnant wife Amrutha Varshini, shook Telangana to its core. But soon after a footage of the incident was made public, the video of Pranay getting murdered was plastered across television screens and phone screens via WhatsApp forwards and Facebook tags. What followed this incident, was unimaginable. Just days later, 18-year-old B. Madhavi and 21-year-old B. Sandeep, were attacked in an exactly similar fashion — this time with a sickle that Madhavi’s father stole from a fruit vendor. It seems like, in an attempt to start a conversation about the need to annhilate the age-old caste system and hold perpertrators accountable, the well-intentioned sensationalism may have led to another inter-caste couple being attacked for the very same reason. This forces one to introspect if Madhavi was a victim of an ill-thought-out copycat murder. Clinical psychologist Priyanka Padhi explains that copycat murderers may believe that by committing heinous crimes, they may end up being the subject of fame, as was possible with Pranay’s case where the video had become so viral. “In psychology, this can also can be termed as ‘murder mentors’, or ‘copycat effect’ where a murder that has been modelled is motivated and/or inspired either by a real-life murderer that has been reported extensively, or is based on a murderer portrayed in books, television or film. “It has been shown that most of the people who mimic sensational crimes, may have severe mental health problems,” she says. Nalgonda SP A.V. Ranganth, who is overseeing Pranay’s murder case, also believes that Manoharachary could have easily been instigated by Pranay’s gruesome murder. “The widely circulated murder footage is definitely an igniting factor in the case of Madhavi and Sandeep. The bravado that Amrutha’s father, T. Maruthi Rao, received from certain people who are not in favour of inter-caste marriage could have very much instigated Manoharachary to take the step. In an attempt to relate Maruthi Rao and the failing relationship between him and his own daughter, Manoharachary tried to imitate and profess his anger by attacking Madhavi,” opines SP Ranganath. Resonating the same emotion, advocate Pavan Kumar says, “Madhavi’s case can definitely be considered a copycat murder. With the advent of social media, and people having immediate access to public information and news, such issues do not take time to blow up.